The emotional, rather than financial, rewards of care work are at the heart of a new push by the government to tackle a severe shortage of staff. There are 110,000 vacancies in the adult social care sector, and it is estimated that an extra 650,000 workers will be needed by 2035 to cope with the rising numbers of elderly people needing care. The national recruitment campaign, 'Every day is different', stresses the variety of day-to-day work involved for those who care for others. Launched by the Department of Health & Social Care (DHSC) last week, it sidesteps the issue of wages for care workers, who earn between £7.50 and £9.04 an hour. Today we're launching a national campaign to drive new recruits into the adult social care sector. There are approx. 110,000 social care vacancies across England. Filling that recruitment gap is essential to meet growing demand. Discover a career where #everydayisdifferent ?? Instead, it focuses on the personal benefits of helping other people and uses a number of real-life case studies to promote care work. 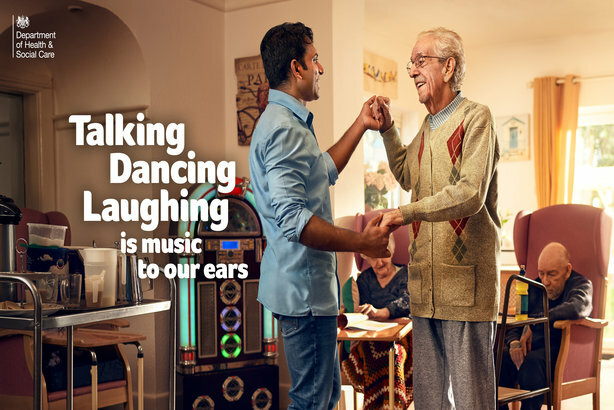 Making a difference to the lives of others and the variety of jobs in social care are among the key messages of the campaign, which will run until mid-April. It aims to encourage more people to apply to work in adult social care by raising awareness of the range of opportunities available, as well as "increasing consideration and intention amongst individuals with the right values, and who might be looking for a new challenge," according to the DHSC’s campaign toolkit. It says the campaign is aimed at 20- to 39-year-olds "who have the right values", as members of this demographic are "most likely to consider a job in the sector". Another target audience is the current workforce, with existing staff "our most powerful sector advocates". "I enjoy helping others to fulfil their daily lives." Meet Marita, a home care provider who helps support people to stay in their own home. Find out more about a career where #everydayisdifferent ?? The campaign encompasses comms, paid-for social media, local radio advertising, outdoor posters and events. Caroline Dinenage, care minister, said: "Adult social care is too often seen as the 'Cinderella service' to our NHS. I'm determined to change this perception, starting with our hardworking social-care workforce." She added: "We must spread the word that careers in adult social care can be rewarding, varied and worthwhile. Care is a vocation where you can transform people’s lives and every day is different to the next." Last week’s launch resulted in stories in mainstream media ranging from the BBC and ITV to The Independent and The Guardian. So far the campaign has resulted in about 42,000 engagements from posts on Facebook, along with 33,000 unique visits to the campaign website – with more than 10,000 click-throughs to job vacancies in the sector.